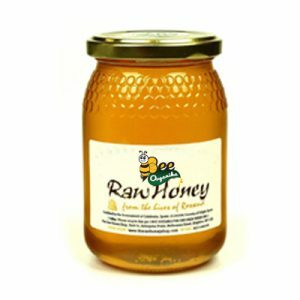 Bee Organika being quality oriented organization, we are offering a high quality Honey Mixed Dry Fruits to our cutomers. These have excellent health boosting energy nutrients and consist of vitamins and other various minerals. Offered product is known for its rich taste which you might have never had it before and available in the market in safe packaging in order to maintain its longer shelf life. Ingredients: Honey, Almond, Cashew Nuts, Pistachio, Dry Dates, Dry Grapes, Dry Figs . Dried fruits are effective in treating constipation, especially prunes and dried figs. This is because the high fiber content stimulates bowel activity. In addition, the high glucose concentration increases the gastrointestinal fluids that softens the digested food in the intestine, thereby improve bowel movement. A tip to prevent constipation: it is recommended to boil 2-3 prunes in a glass of water and drink in the morning on an empty stomach. 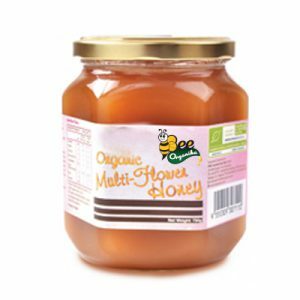 Quantity can be prepared for several days in advance, and you can add a bit of Bee Organika's Dry fruits with Honey and make from it a compote. Dry fruits are a necessary portion in your daily diet they help to maintain your cholesterol level. While cashews contain zero cholesterol, pistachios contain fats that are helpful in lowering high cholesterol levels. Rich in iron, phosphorus, potassium, and magnesium, raisins promote blood circulation. 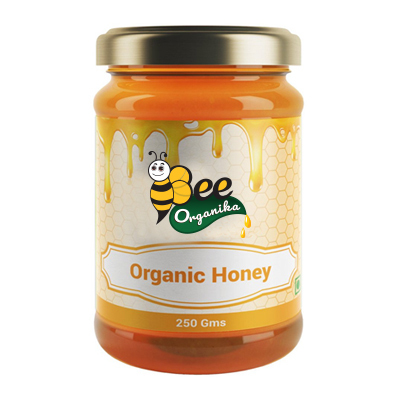 A daily dose of Bee Organika's Dry fruits with Honey will go a long way in maintaining your cholesterol levels. Prunes, dried apricot and raisins contain a large amount of iron. Not many know, but 100g prunes contain iron levels similar to that in 100 grams of chicken, and 100 grams of dried apricot has almost twice the iron than that of 100 grams of beef and four times than chicken. However, keep in mind that the absorption of iron from meat is better than that of plants, such as dried fruits. To increase the absorption of iron from plants, you should consume at the same meal vitamin C, found in fresh fruits and vegetables, especially strawberries, citrus, melon, pepper (capsicum), kiwifruit, tomatoes and more. The healthy fruit is an excellent source of simple sugars, or readily available energy. Of the 23 grams of carbohydrates supplied by a serving of dried cranberries, 22 grams are simple sugars and 1 gram is dietary fiber. Raisins, dried apricots and prunes are even better sources of fiber. You’re on a weight loss program and yet you have the utmost craving for something sweet. Do not reach for that chocolate bar and rather grab a couple of dried fruits such as raisins or figs. Weight watchers are finding dried fruits to be an excellent way to reduce weight. Since they contain condensed amounts of fructose, dried fruits are sweeter than fresh fruits and can therefore, be used as substitutes when you have a craving for something sweet. Although the drying process decreases a fruit’s levels of vitamin C and B vitamins, dried fruit is generally a more concentrated source of nutrients than the fresh variety. Raisins are a good source of iron, potassium and calcium, while dried apricots contain significant amounts of vitamin A, magnesium, iron, calcium, phosphorus and potassium. Dried plums, or prunes, are rich in potassium and copper.